Need help with a minor health concern? Visit your local pharmacist. 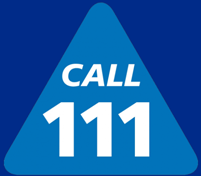 NHS 111 is much more than a helpline. Pharmacy opening times and advice for Berkshire West residents on accessing healthcare over the Easter Bank Holiday (19 April to 22 April). Health chiefs across Berkshire West are spearheading a new campaign aimed at raising awareness of the risks of cervical cancer and highlighting the benefits of screening.